Boston suddenly just became the envy of travelers across America -- and it has nothing to do with chowder, baseball, or any other tiresome stereotype. No, it's because starting this week, Bostonians (and people who just happen to be in Boston) can fly to Europe for as little $99. 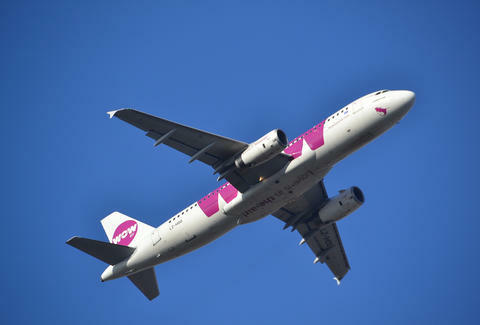 Iceland's low-cost airline WOW air just began service out of Boston's Logan International Airport this past weekend, with flights to Reykjavik, London, Dublin, Berlin, and Copen­hagen for the cheapest prices you'll find, short of being a stowaway on a cruise ship. Seriously, initial prices began at $99, though those tickets are subject to availability. At the moment, the cheapest flight on the airline's website is $161, but that's still incredible. For these new transatlantic flights, WOW is flying the slightly larger Airbus 321, making it a pay-to-play game where additional legroom will cost $25-$35 extra. You'll also pay extra to choose your seat, carry on luggage larger than 11lbs, eat a meal, and watch in-flight entertainment. It's as no-frills as flying gets, and you quite literally get what you pay for. But that $99 price tag sure looks awful enticing to the average traveler. 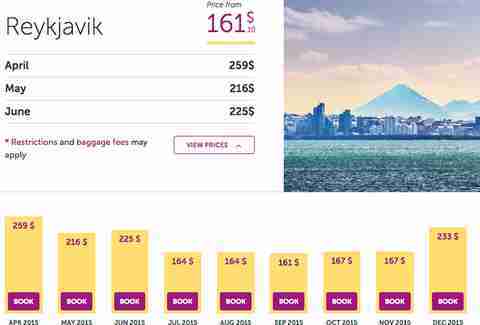 Check out more of the current advertised prices on WOW Air's website, including flights to London for just $276, and watch out for even lower prices once the airport adds service to Baltimore-Washington International Airport in May.